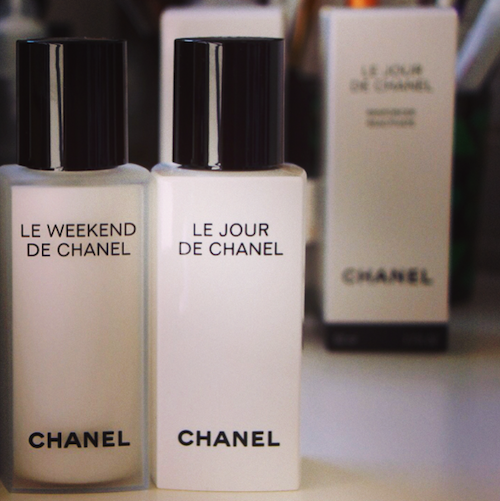 Chanel: The Skincare Wardrobe and a Very Pleasant Surprise! 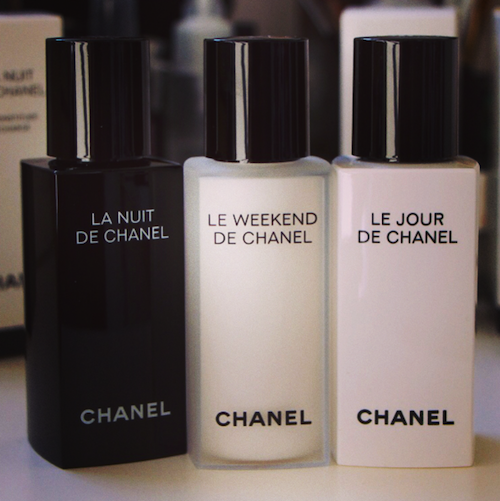 I was worried that the new serums from Chanel – Le Jour de Chanel, La Nuit de Chanel and Le Weekend de Chanel – would be un petit peu style-over-substance but I must say that I’m very, very pleasantly surprised. It’s a nice idea, at any rate, to create a “skin wardrobe” – very Chanel. Very chic. The bottles are typically understated and beautifully designed – this is skincare that you want to have on display, not hide away in the bathroom cabinet. But it’s not about looks, is it, when it comes to skincare? If you consider my fondness for Alpha-H (simplest packaging ever) you’ll remember that for me, effectiveness reigns supreme. There’s no point having a pretty pot of something that does absolutely nothing. So how did I get on with Chanel’s 24/7 skincare? Tres bien! (I’ll stop with the French now, shall I?) But let me explain a little about each product, because they all do slightly different things. The idea would be a bit silly otherwise, I suppose! The concept behind the Le Jour, La Nuit, Le Weekend range is that there’s something to suit your skin for each of its ‘phases’. 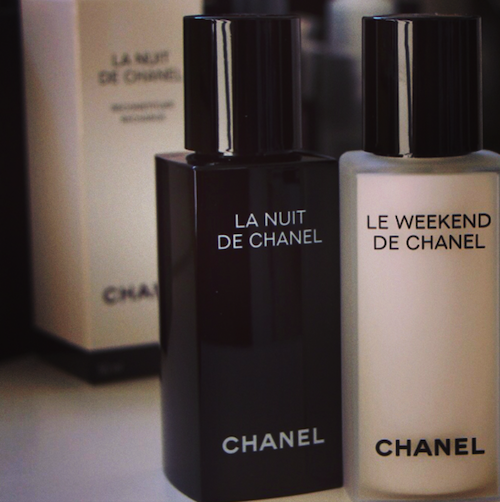 Le Jour is supposed to “reactivate” your skin, La Nuit de Chanel focuses on recharging and Le Weekend (my favourite) is for renewing. Le Jour is a light, silky serum that uses salicylic acid to gently exfoliate in the morning, La Nuit is a calming, hydrating serum for resetting skin overnight and Le Weekend uses our good old friend Mr Glycolic to exfoliate and hydrate. That one has a slightly more creamy texture and I have to admit to being a bit naughty and sneaking in a few Le Weekend sessions midweek! Le Jour and La Nuit cost £60 each for 50ml – £1.20 per ml. Hydraluron (one of the best and simplest of the hydrating serums on the market, and widely considered to be incredibly good value) is 83p per ml. Advanced Night Repair II (see review here) will set you back £1.46 per ml. So the Chanel serums sit very nicely (and marvellously!) between a serum considered to be something of a superbly affordable buy and one that is, I would say, pretty fairly priced. Who’d have thought it, eh? Le Weekend, with its May Rose water and “high-tolerance” glycolic costs £72 for 50ml – price per ml is £1.44 – still just very slightly less than Lauder’s Advanced Night Repair II. Taken aback? I am! You can find Le Jour, La Nuit and Le Weekend at Boots.com, Selfridges.com and at Debenhams. You can save a little by buying all three at once -the trio costs £172 at Boots.com, a saving of (hold on whilst I find my calculatrice) £22.